Kick off 2019 right on the oceanfront! Conveniently located in the heart of Daytona Beach, the New Year’s Eve Party at Ocean Deck promises to be a fun time. 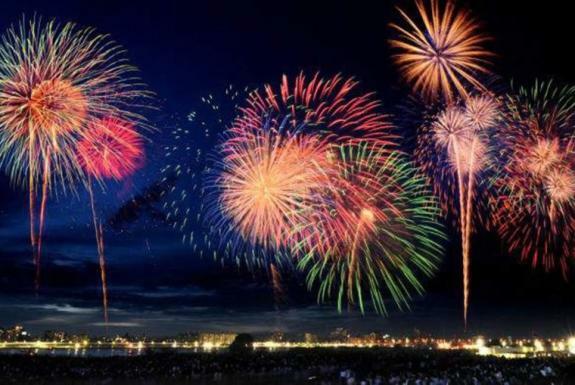 Starting at 8:30 p.m., you can join the New Year’s Eve party at the restaurant and enjoy a bonfire on the beach, live music, free party favors, complimentary champagne toasts, and fireworks off the pier at midnight. This popular local hangout is one that you’ll love! Rock out this New Year’s Eve with the ultimate 80s tribute band — The A+ Team! Get in on the action at ONE DAYTONA, a premier shopping, dining and entertainment hub in Daytona Beach located right across from Daytona International Speedway. All ages are invited to attend, and there’s no admission fee! The fun kicks off at 9 p.m. — so maybe head to one of the restaurants on-site, and then get your groove on until 1 a.m.! Heaters will be available upon request, and designated parking must be reserved in advance. Come out for a totally radical, totally ’80s party at The Shores! Your $125 ticket includes a delicious buffet dinner, dessert, an open bar, raffle tickets, party favors and champagne toasts! Bring your leg warmers, shoulder pads and best to show off as the DJ keeps the dance floor hoppin’ all night long. Plus, with the hotel’s Winter Sale, you can save 20% when you stay two consecutive nights. Disco your way into 2019 by dancing the night away in a beautiful oceanfront ballroom at Hilton Daytona Beach Oceanfront Resort. The Studio 54-themed extravaganza will offer an abundance of games, drinks, butler-served hors d&apos;oeuvres, desserts and a champagne toast. Rock out with a live band to the best hits of the ’70s and ’80s — it’ll be a night to remember! The cost of a ticket starts at $125. Check the hotel website for special packages. This Casino Royale-themed extravaganza at the Hard Rock Hotel Daytona Beach will be a glam way to roll into 2019. Dance to two live bands, plus play traditional casino games like blackjack, craps and more. This New Year&apos;s Eve celebration package includes a hotel room and TWO tickets to the party, plus light bites, a champagne toast, fireworks and a breakfast the morning after. 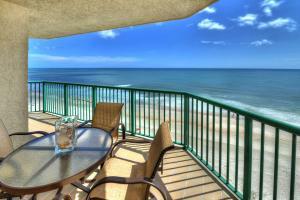 The rates for this spectacular package start at $319, with oceanfront rates starting at $419! Visit the hotel website for more info, and be sure to book fast — there aren’t many rooms left! These are just a few of the best specials offered in the area — be sure to check out all of the latest hotel deals in Daytona Beach. From romantic packages and fantastic seasonal discounts to stay-and-play promotional deals, you’ll find something that will make you want to start packing!